Chris Pine and Ben Foster play bank robbers, with Jeff Bridges as the Texas Ranger determined to take them down. Rating: 3-and-a-half out of 4 stars. Jeff Bridges’ voice, in David Mackenzie’s excellent Western “Hell or High Water,” sounds choked with dust. His character, an aging Texas Ranger named Marcus, seems to have spent a lifetime in the kind of town where tumbleweeds just might roll down Main Street. Now, as he tries to stare down the idea of retirement (“I don’t like to fish enough to do it every goddamn day”), a new case demands his attention: A pair of brothers, Toby (Chris Pine) and Tanner (Ben Foster) are robbing branch after branch of Texas Midlands banks, determined to undo a reverse mortgage that threatens their family home. The camera lingers on those uncannily silent streets where the banks are located: abandoned storefronts, signs advertising quickie loans, a sense of vast emptiness stretching out between the towns. And it watches Bridges, in yet another indelible screen performance, as he creates a man embittered by having seen too much, but not yet ready to close his eyes. Unable to sleep one night, he tosses a blanket around his shoulders and goes for a walk in the quiet darkness. It flutters behind him in that dusty breeze, like a tattered flag. 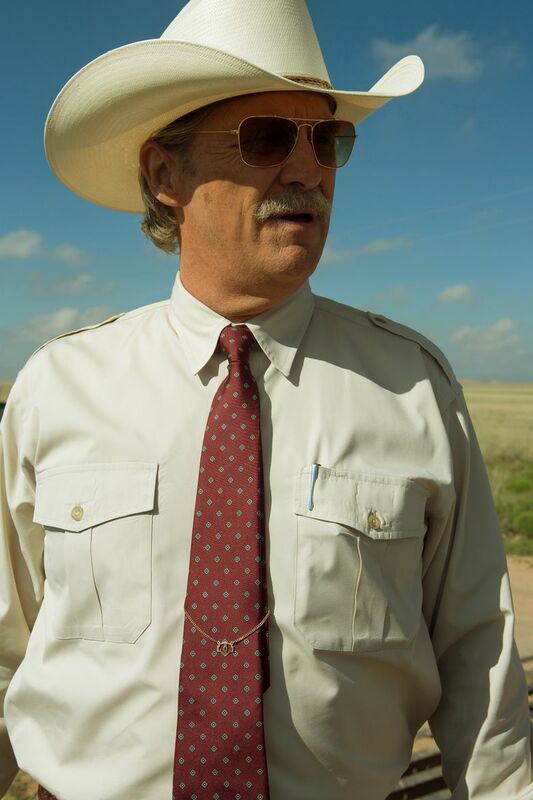 ‘Hell or High Water,’ with Jeff Bridges, Chris Pine, Ben Foster, Gil Birmingham. Directed by David Mackenzie, from a screenplay by Taylor Sheridan. 102 minutes. Rated R for some strong violence, language throughout and brief sexuality. Meridian, Lincoln Square.